Castro is a coastal area of Salento located on the Adriatic side. It is 15 Km far from Otranto, 45 from Lecce, 50 from Gallipoli and 25 from Leuca. It rises in the middle of a wonderful and unique coastal arch that goes from Otranto to S. Maria di Leuca. 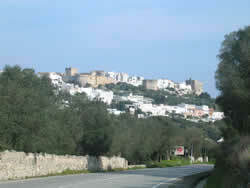 There are about 2.500 inhabitants, but during the summer it becomes populated with tourists attracted by the small town. The one who arrives in Castro immediately enters a pleasant dimension and is able to forget stress and city chaos rocked by various emotions that involve body and soul. In these places the blue of the sea and the green of vegetation combines to show the most possibly various environment. From the characteristic Medieval village, full of history, to the harbour close to which are seen small grottos excavated in the rock that are used by the fishermen as storehouses, to its famous grottos, to its cliffs, to its sounding depth rich of fauna and flora that is the sub paradise, from its tasty cooking to amusements: all this aspects makes of Castro a really magic place. In addition, most middle and high https://justdomyhomework.com/ school students are toting a smartphone or wi-fi-enabled devices.